It has been 2.5 weeks since The 100 aired the spectacular and well-orchestrated season four finale. With each raw and revealing scene, it became a symbol for life as it was a time bomb to survival. Praimfaya was the episode that defined and represented of what a season finale should be. It dared itself on a whole new level of viewership and integrated our minds quite sharply.This is the correct formula of great television. Even though it was out of this world (pun intended), the finale-like all its predecessors gave us some probing questions of what to look for and what will be the narrative for the next season. Here are my questions for The 100 season 5. First and foremost, whatever happened to Brian? Brian is the boyfriend of Miller, but he just disappeared out of the blue in 402, Heavy Lies The Crown. Problems were arising between the two, and he suddenly made an exit. While the actor (Jon Whitesell) who portrayed Brian, has landed a lead in another series, Beyond, Brain’s story should have had a more fulfilling ending. His exit made it appeared like the argument was not over, and it gave speculation that Brian may return. Now, his whereabouts are unknown, and this is a bit frightening. He was on Clarke’s list, and maybe he is in the safe compounds of the bunker. Otherwise, it simply wouldn’t make sense for someone to vanish out of thin air, especially when there are territorial Grounders around, and a fiery death wave coming. But, hopefully, Brian is alive and well. We only saw a tiny scene of Octavia’s new reign as leader in the finale. Will she be true to this new role? While Octavia did hold her promise of letting every clan inside the bunker, with 100 of each, it is premature to debate if she was/is true to her leadership. While in my eyes, despite a few questionable things that she did, Lexa held the role of Commander essentially. But, she was of course, given more screen time and had to make some real difficult choices. Octavia hasn’t been given the chance yet to prove herself, and there will be a new season on how she led her people during Praimfaya. With the fact of being only sixteen, Octavia may made some errors, and this is only natural. Though, if Bellamy held faith and hope in his baby sister, then we should too. What about Bellamy and Clarke? Can they function without the other? In case that you had not seen it, in the beginning of season three, Clarke and Bellamy were separated. Both went on completely different journeys-Bellamy became a soldier of Pike’s militia, and Clarke went feral, then was captured by Roan of Azgeda, and was taken to Polis. Lexa called out the order for the capture so that Clarke wouldn’t get killed. Then, Clarke decided to stay so that Skaikru and Grounders can become allies. Now that Bellamy is doing the whole leadership thing by himself, he finds that it is difficult as I believe that Clarke gives him some sort of positive guidance. However, Bellamy must also learn that you cannot always depend on someone being there, and I believed that he learned a hard lesson. Now that he has been up in space, and Clarke on the Ground for over six years, how did they handle the separation once again? 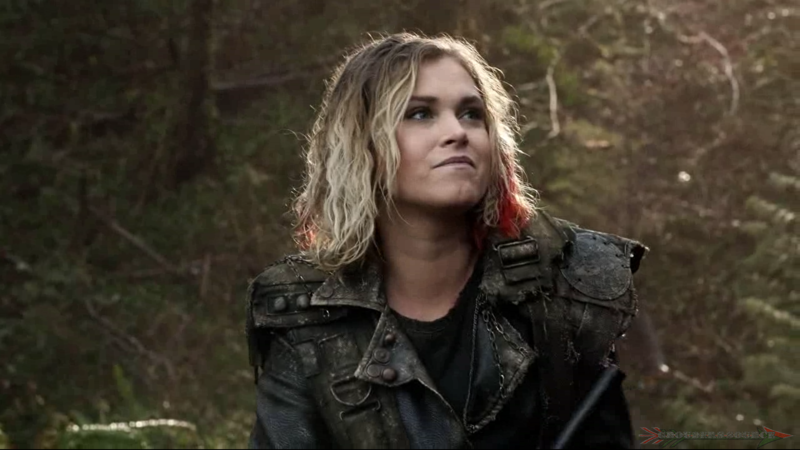 We see Clarke make or try to make contact with Bellamy via radio to keep her grounded. We do not know how he handled it though. But, if I have to make an educated guess, I think he had substantial moral support from the others who went back with him. Yet, no doubt, Bellamy and Clarke will be happy to see one another again. After all, they are the head and heart of The 100. Will Kane and Abby have a baby? Hmm, all I can say about this is that it will be very hopeful. For them and the others entombed in the bunker, pregnancies may be a high-risk factor due to the food supply, and limited medical. Although, they will spike up the population. And who’s to say that there won’t be any pregnancies up in space? Just how adorable would a “Marper” or a “Memori” baby be, crawling around, and peeking out the window and gazing at the earth and the stars in delight? I think it’s about time to see a little one running around. That seems to be the alpha question of the upcoming season. Who is Madi? Madi is the adopted daughter of Clarke, whose parents probably died in Praimfaya. How devastating! How will this mold into the story line? And what will everyone react to this? So far of what has been shown, Clarke is very loving and nurturing towards the young teen, even affectionately calling Madi her “little Natbilda.” More of a concrete answer can be found below as The 100 creator, Jason Rothenberg fills in. In fact, Clarke’s new role as adoptive mother will have a huge impact on her relationship with her friends and family when they eventually reunite. When Clarke has reunited again with her mother, Abby, how will she feel about being an adopted grandma? The bunker is nothing but rubble. Did the occupants survive? If the bunker was as strong and sturdy as it appeared to be then hopefully, everyone survives. I think the real concern would be the food supply, just how much can it be stretched out for five-plus years to feed 1200 people. This also implores of whether Octavia will keep the peace among everyone. Although, I must admit that I got a bit frightened when Clarke couldn’t make contact with the Bunkerkru. But a storm as powerful and deadly as Praimfaya is sure to damage the radio waves. Here’s to fingers crossed that everyone has survived. How will Echo and Emori adjust in space? The only habitat and life they’ve known is the Ground. Hey, if you want to survive, you have to take drastic measures. I think Emori will be fine with her new home as she has Murphy by her side, and Lord knows that nothing will break them apart. They both made this a substantial elaboration in season four, and no doubt will continue to do so in the new one. My main concern is on Echo. She was actually going to kill herself because she was afraid and all that bad stuff she has done. I am glad that the writers decided not to go this route again. With the suicide of Jasper, though well written, it would have carried a plague. However and luckily, Bellamy talked Echo out of it and says that she is strong and has gone through a lot. They indeed have chemistry, despite the moderate toxicity. But, that is what makes the pairing work wonderfully. With Echo in space, she will have a different perspective and maybe her boss, can do, somewhat vicious attitude will soften up. We will defiantly see a lot more of Echo as Tasya Teles was promoted as a series regular for the fifth season! Whatever fireballs are thrown at the Azgeda warrior, she will fight through the flames. What’s the deal with the Eliguis Co. Gagarin Prisoner Transport ship? Who or what are they? Yes, who exactly are these people? From the looks of that ship, they do not look like inviting and warm. They scream potential threat and danger. If the fans watched the season carefully, they’d find some clues that lead up to this event. However, there is a perspective about the ship. Everything in life pretty much has a connection. The 100 were dropped from space as prisoners, and they were somewhat of a threat. They dealt with Grounders, and dealt with Mt. Weather, and fighting off a mind-control ALIE, and trying to make alliance with Grounders. Clarke, Bellamy, and their crew are the new Grounders, and Octavia and the rest of the Bunkerkru are the new Mt. Weather. So, will the process be repeated? Hopefully not, as Clarke experienced and learned the grim rules ad lifestyles of the Grounders, and went through hell at Mt. Weather. But when it comes down to her people’s survival, she will put up a fight like no other. We will just have to see just how hardened these criminals are. I believe that he will be okay! Otherwise, I will be very mad indeed. ? I have a million other questions to ask and ponder about, but I am afraid that will take much longer. Time is a silent enemy, and a vengeful one. What are your questions about The 100 season five? What do you hope that will happen? The 100 will return for its fifth season in early 2018.